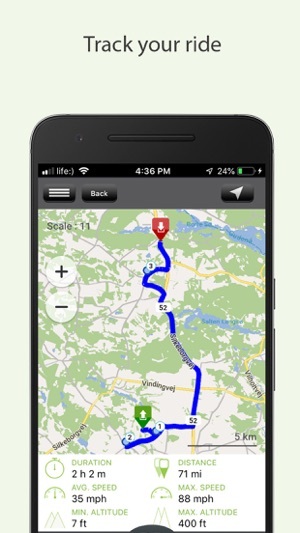 RoadRUNNER Rides lets you navigate 500+ tours as seen in RoadRUNNER Motorcycle Touring & Travel magazine with full GPS navigation including turn-by-turn directions and voice guidance without a limit on the amount of via points. 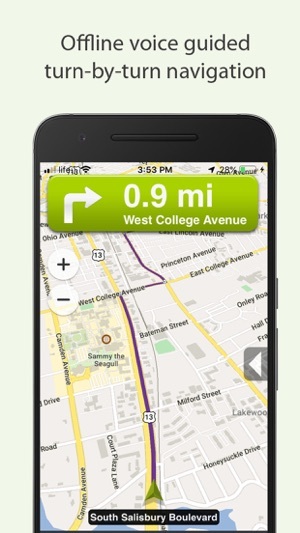 You can also create your own custom routes with the easy-to-use in-app route planner. 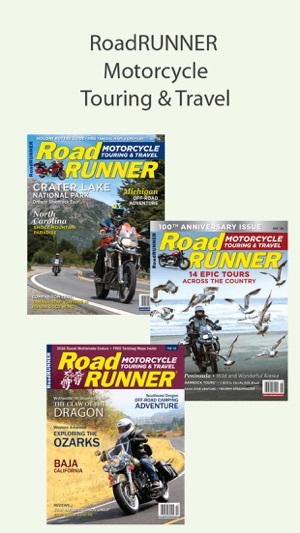 RoadRUNNER Motorcycle Touring & Travel is a magazine is dedicated to serving active motorcycle enthusiasts by providing them with a comprehensive resource of national and international tours, exciting and picturesque new places to ride, and valuable information on new motorcycles and products that enhance their riding experience. The magazine covers primarily North America both on and off-road. 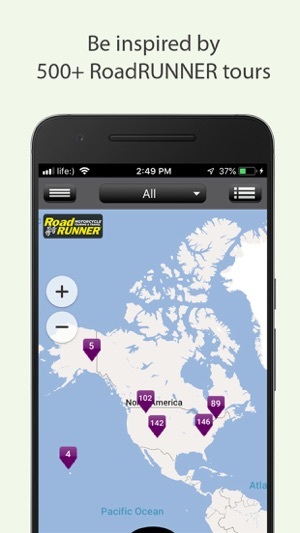 The RoadRUNNER Rides app contains more than 500 high quality and proven routes laid out by the editors of RoadRUNNER Motorcycle Touring & Travel magazine. 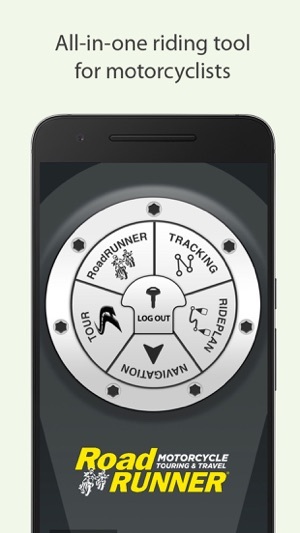 You can also plan your own custom rides and share with friends. after purchase by going to your iTunes Account Settings. You can get 14 days free trial period if select Yearly Premium Subscription. area you want to explore. *Only tours from the USA and Canada are available through the app. route. Let RoadRUNNER Rides lead the way for epic adventures. Plan, find, and share a motorcycle route. •	Travel Stories – Coverage of the United States, Canada, and international destinations. •	Tankbag Maps – Our signature tear-out card-stock maps are noted as a significant reason why subscribers choose RoadRUNNER. 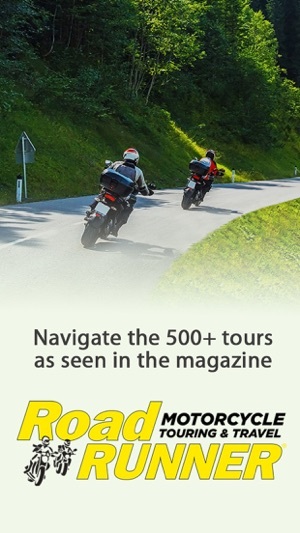 •	Motorcycle and Products Reviews – Full dressers to dual sports, hottest on-the-road reviews of new motorcycles, equipment, gear, and apparel fit for today’s active and enthusiastic rider. •	Shamrock Tours® – Tours with 4 loops out of the same home base to make traveling more enjoyable. Unique to RoadRUNNER and valuable to readers. •	Special Interest Sections – Devoted to vintage and scooter enthusiasts. •	Industry News & Updates – Providing industry awareness. •	World-Class Photography – Capturing and delivering the beauty and excitement of the road, the ride, and the destination. 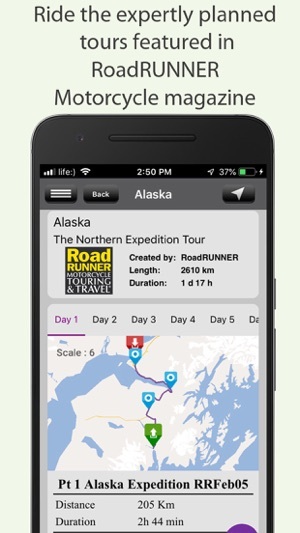 Contact us on app@roadrunner.travel should you have any questions, comments or suggestions.